The UFC bring one of their most stacked events to the T-Mobile Arena in Las Vegas, Nevada on Saturday night. The main-event and co-main event will feature title fights; UFC light-heavyweight champion Jon ‘Bones’ Jones defends his championship against Anthony ‘Lionheart’ Smith and UFC welterweight champion Tyron Woodley defends his championship against Karamu Usman. 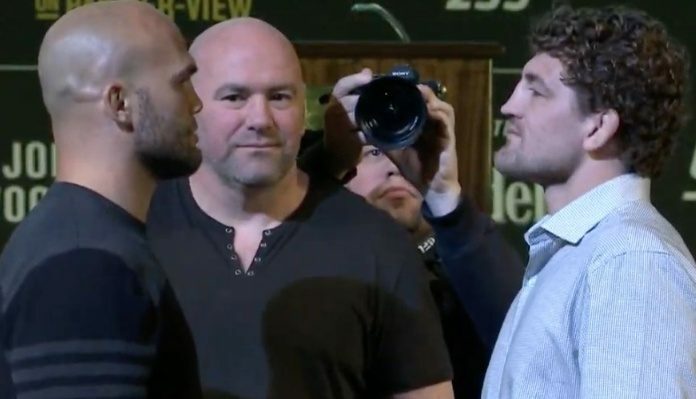 The event also features the UFC debut of undefeated welterweight Ben ‘Funky’ Askren, who was acquired by the promotion when they traded former UFC flyweight champion Demetrious Johnson to ONE Championship. Jon Jones will be making his first title defense since recapturing the light-heavyweight championship at UFC 232, when he defeated Alexander Gustafsson in his first fight back since serving his USADA suspension. Jones looked like he didn’t miss a beat and ring rust was a non-factor as he won the fight quite easily. 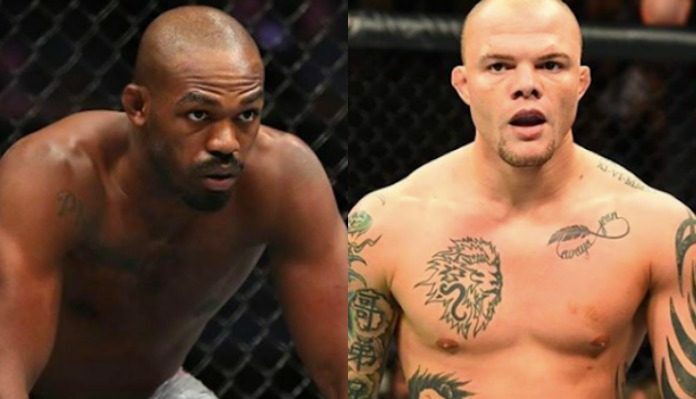 Although Anthony Smith comes into this fight as the underdog, he is coming off a memorable 2018 that saw him move up to light-heavyweight and go undefeated in the weight-class. Smith defeated former champions Rashad Evans and Shogun Rua by KO and former title challenger Volkan Oezdemir by submission. Smith will look to shock the MMA world on Saturday night and become the new light-heavyweight champion. In my opinion, I think Jones has the advantage in every possible scenario; standup, ground-game, and wrestling, and will be able to successfully defend his title against Smith. It would be a great story if Smith were to defeat Jones, but Jones just has too many tools in his arsenal that I feel will allow him to successfully retain his title. 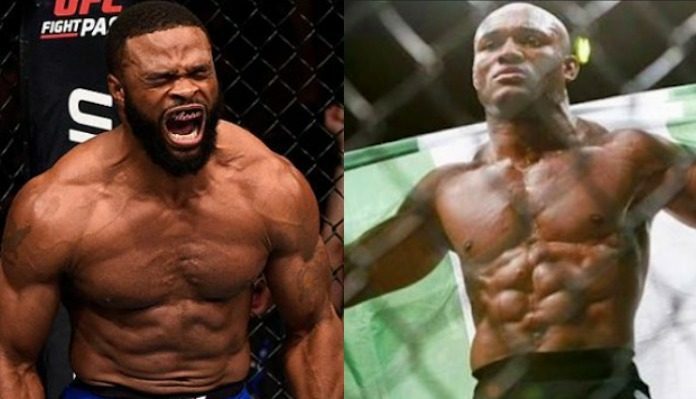 The welterweight title bout between Tyron Woodley and Kamaru Usman has really taken a life of its own. After Dana White revealed interim-champion Colby Covington declined to fight Woodley at this event, Usman took advantage of the opportunity and stepped in to challenge the champion. Since then, the two have gone back-and-forth on social media and again during the press-conferences leading up to the fight. This will be a tough test for Usman even though he comes into the fight with a 14-1 MMA record because he’s going to have to cautious of Woodley’s knockout power. Usman is undefeated in the UFC and is currently on a 13-fight win streak that includes wins over former title challenger Demian Maia and former UFC lightweight champion Rafael dos Anjos. The champion Woodley has been vocal about how he feels that he’s been unfairly criticized and disrespected in the past and really showed how talented and exciting he is when he defeated Darren Till at UFC 228 last September. Woodley was able to knock down Till, who was a bigger opponent and finish him with a D’Arce choke to defend the title. It’ll be interesting to see how this fight plays out and whether Usman will comes out more aggressive but the it really can go either way. One of the most highly anticipated fights on this card is the welterweight bout between former UFC welterweight champion Robbie Lawler and the debuting Ben Askren. After years of failed negotiations, Askren will finally make his UFC debut, where he takes on a tough opponent in his first fight with the promotion. Askren is undefeated in his MMA career and has made a name for himself outside the UFC as one of the best welterweights in the world. During his career, Askren has won the welterweight championship in both Bellator and ONE Championship and has defeated top competition including: Andrey Koreshkov, Shinya Aoki, and Douglas Lima. Robbie Lawler is probably the toughest test for Askren right out the gate; he’s a veteran fighter with plenty of experience and a former UFC and Strikeforce welterweight champion. Although Lawler hasn’t fought since December 2017, he’s still a very dangerous opponent that Askren can’t afford to overlook. Askren will likely want to use his incredible wrestling and grappling skills to take Lawler down and look to finish the fight on the ground while Lawler will look to use his standup and knockout power to force Askren to fight in an uncomfortable position and finish him.